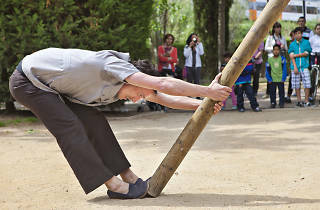 Joan Català is a fascinating, multi-talented act trained in drama and circus as well as dance. 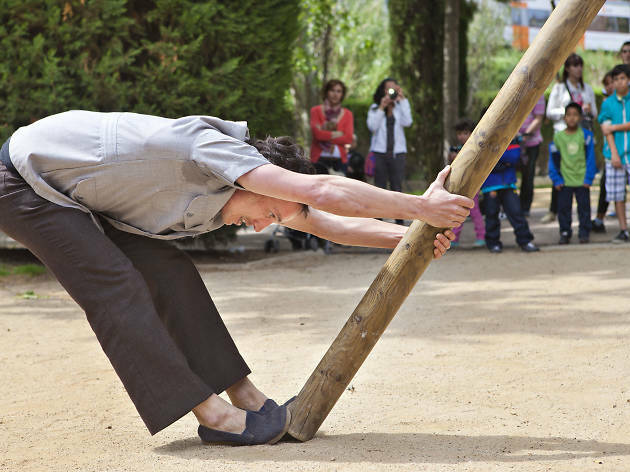 Having performed with the incredible Catalan troupe Fura dels Baus and the Circus Klezmer, he will be performing solo for the Hautes Tensions festival this year. In ‘Pelat’ Català gets in amongst the audience, invites people up on stage to assist him, and delivers a daring greasy pole climbing act. The result is a poetic, original performance that blends traditional circus acts with a good dose of audience interaction.